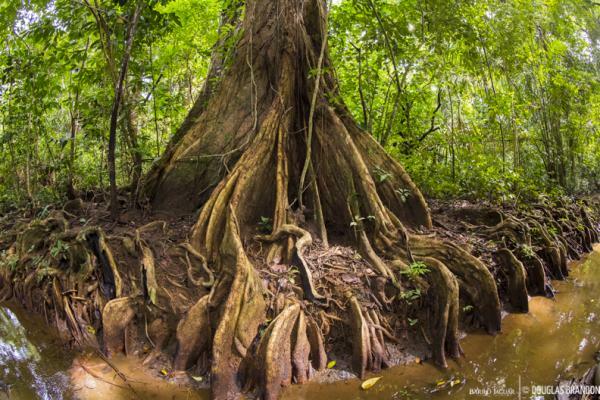 The Pacuare Nature Reserve, or Reserva Pacuare, was established by the Endangered Wildlife Trust in 1989 and protects 800 hectares of lowland tropical rainforest and six kms. 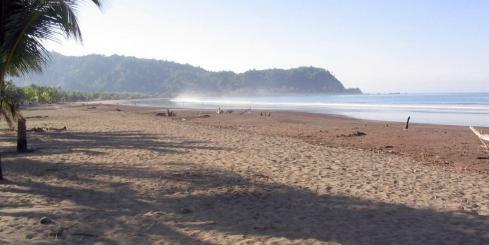 of deserted beach on Costa Rica's Caribbean coast. It is located about 25 kms. 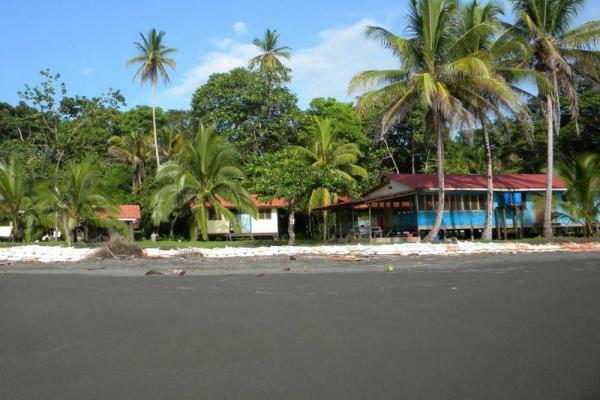 north of Limón and lies between the sea and the Tortuguero canal. 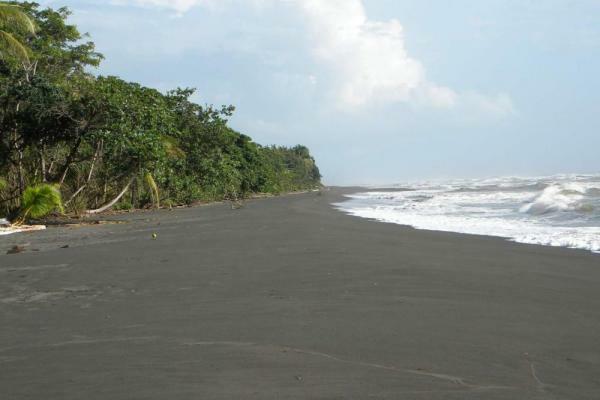 The special mission of the reserve has been to protect the Leatherback Turtles, which nest along its beach - one of the most important nesting sites in Central America for this critically endangered species. March to June is the nesting season for these giant turtles and from June to September Green turtles also nest here, though in lesser numbers. The Reserve is rich in wildlife, and is home to about 20 species of mammal and many reptiles. 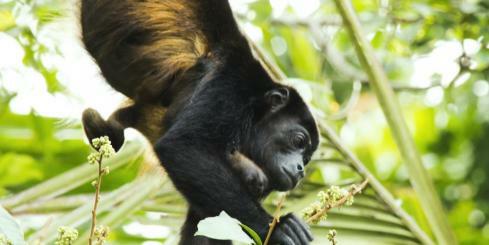 Monkeys are plentiful and Howler monkeys regularly provide a dawn chorus. With beach, forest and freshwater habitats, the reserve has a wide variety of birds, with 210 species listed. 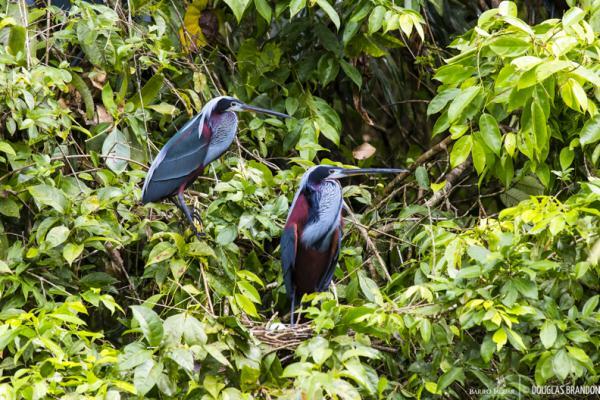 One of the lagoons within the forest is the only known nesting site in Costa Rica of the rare and beautiful Agami heron. 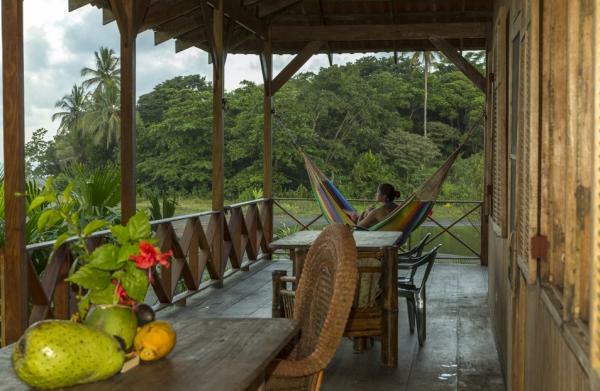 Visitors to the Reserve are free to walk the trails or take a boat-ride along the Tortuguero canal where caimans, freshwater turtles and many wading birds can be seen. 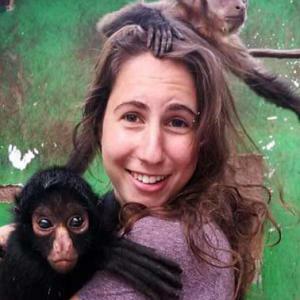 They are also encouraged to participate fully in the turtle program and to patrol along the beach at night with the biologist, research assistants and beach guards. Nobody ever forgets the sight of their first giant leatherback. Accommodation for volunteers to the turtle program is in simple but comfortable cabins with two or three to a room. 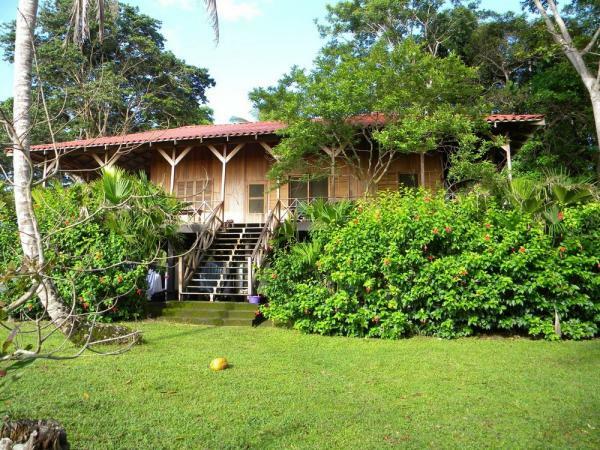 All rooms are mosquito-screened and there is a communal block with showers and flush toilets. There is no electricity in the reserve. Candles and lamps provide light. Refrigeration and cooking are by gas. Meals are taken together in a dining area, which also serves as a lecture room. 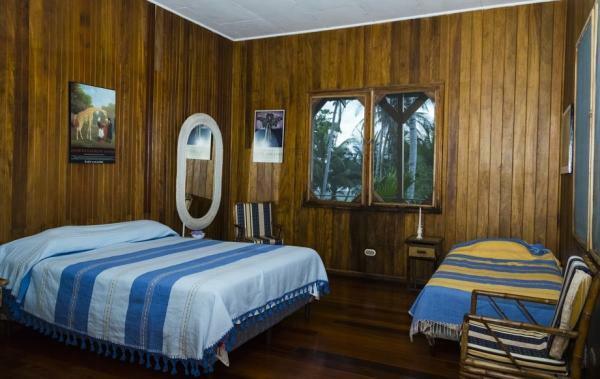 As well as cabin accommodations, there is a comfortable lodge overlooking the beach for visitors who would like more comfort and privacy. It has three double-bedrooms, sitting room, kitchen and two toilets. A broad balcony around three sides of the house has tables, chairs and hammocks. It can be rented as a whole or room-by-room. Meals can be taken in the lodge or in the communal dining room. From mid-March to the end of September experience the Turtle Programme, which attracts volunteers and groups from around the world. Under the supervision of marine biologists, the beach is patrolled every night by small groups of volunteers, a guide and beach guards. Each turtle met is tagged (if not already tagged), measured and examined for any special features or signs of injury. If the turtle has already laid, volunteers disguise the nest from poachers. If she has still to lay, eggs are collected in a bag while she lays and then are placed in an artificial nest dug nearby and which can be more easily camouflaged from poachers. This is also done when the turtle has chosen to lay too near the sea as seawater will kill the eggs by making the shell non-porous. At the end of the season all the tag numbers and information are sent to a center in the US where it is stored and used for learning more about the turtles' nesting and migratory habits. All visitors can participate in the beach work, helping to measure a turtle or read a tag or count the eggs as they fall. The patrolling of the beach takes place in groups throughout the night, with each group always accompanied by a guide or biologist. 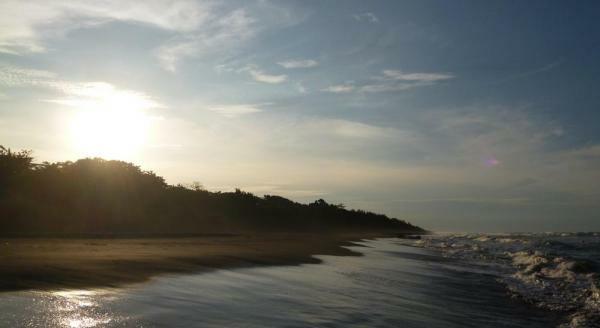 A typical patrol may take from three to five hours, depending on the number of turtles coming to nest. The beach guards patrol the beach all night.